Palić is Serbian town in Vojvodina, located only 20 km from the Hungarian border. The Palić is a well-known destination for domestic tourists, but every day it's more and more popular with foreign tourists, as well. The town Palić is the best known because of the beautiful Palić lake. 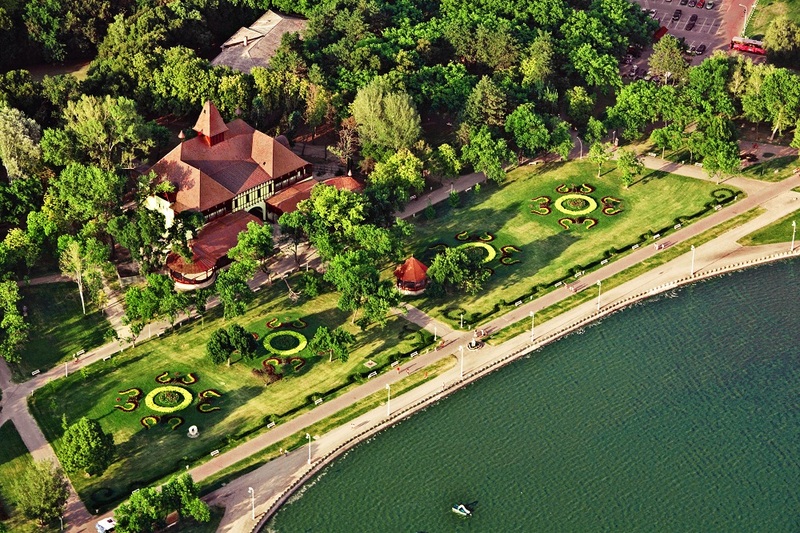 The lake surface is about 4.7 square kilometers, 17 km long and beautifully decorated shore. There are several legends about how the lake was created. As the legend says, lake Palić is a rest of the ancient Pannonian sea that once was covering whole Vojvodina. In the 18th century, the salt was removed from the water - and today the lake has freshwater. Another legend says that the lake was created by the shepherd Pavles tears, one day when he lost his flock. This legend locals really love and gladly persuade. Near Palić is Subotica - the northernmost city in Serbia. The first mentioning of Subotica in written documents dates from 1391. however, the settlement has surely been older. Because of its great position between Europe and Asia, which had a historical influence on the city, always between opposing sides the Austro-Hungarian and Ottoman Empires. The city frequently changed its name, depending on the ruler - today its known as a town with 200 names. 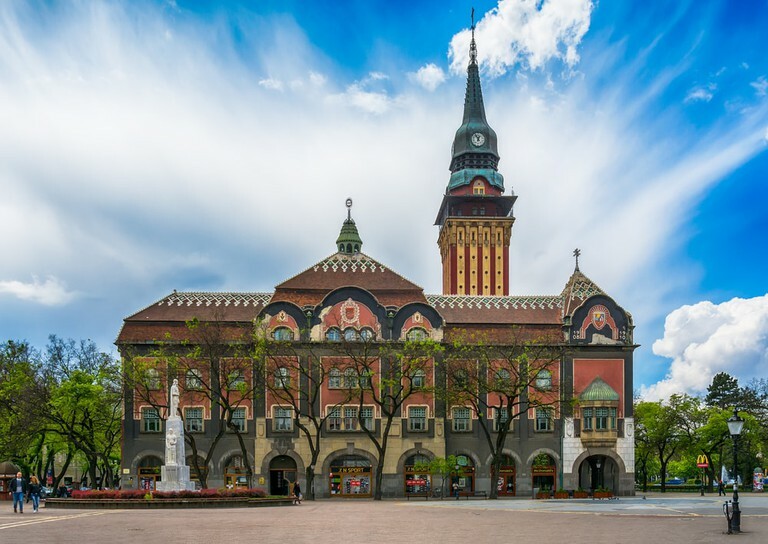 The interesting fact about Subotica ist that it is a multilingual town with 18 major settlements around the city. The most beautiful attraction in Subotica is The City Hall. The building was built within two years, from 1908 till 1910, but it was completely finished in 1912 because it took two more years to decorate it. At that time Hungarian art nouveau it was very stylish and modern. The City Hall is the largest building in Subotica with a surface of 5838m². Subotica has many churches which represent the architectural ornament of the city. The oldest churches are from the 18th century and few of them are very interesting to visit, for example, St Therese Cathedral and Franciscan Church. One of the of the most beautiful churches built at the beginning of the 20th century is the Synagogue which will also be worth your visit. The Raichle palace is a Modern Art Gallery founded in 1962 built in Hungarian art nouveau style. It safeguards more than 1200 works of art of the most prominent artists from the former Yugoslavia of the second part of the 20th century – paintings, graphic works, sculptures, and ceramics. Palić is an ideal place to rest, it has so much to offer: lake, luxurious parks, eccentric buildings, as well as Luxury hotels, villas and the top gastronomic offer. Promenades, beaches, bike trails, cultural, entertainment and sports facilities, as well as a variety of events, are complementing the offer of this tourist destination. The main touristic destination in Palić is the Zoo, with more than 60 species of animals. Within the zoo grows over 260 species of trees and plants, and some of them are very rare and exotic. We are currently on CEST - Central European Summer Time (UTC/GMT +2 hours). The official currency of Serbia is Serbian Dinar (RSD), however some restaurants, hotels and shops take Euros as well. Credit cards are also accepted in most hotels, shops and restaurants.